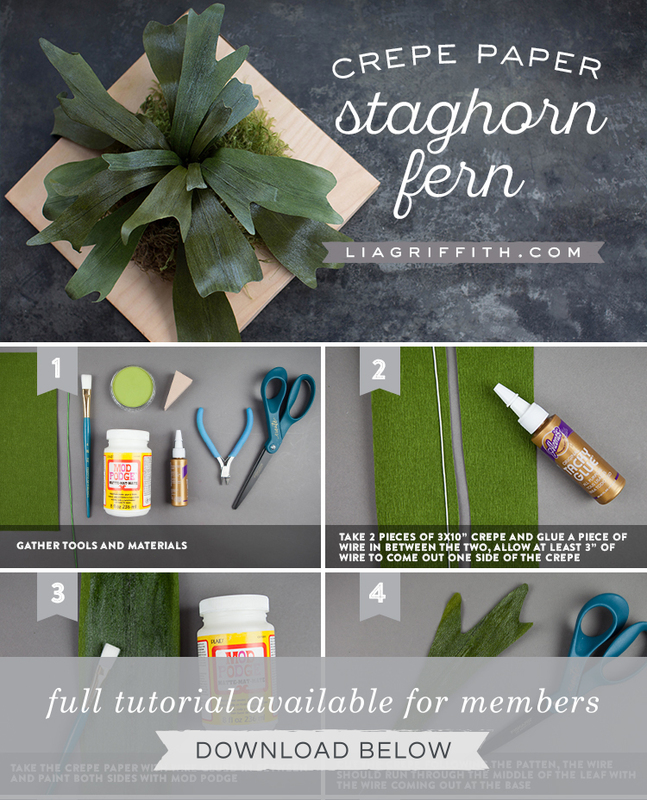 Staghorns are one of our absolute favorite forest botanics. 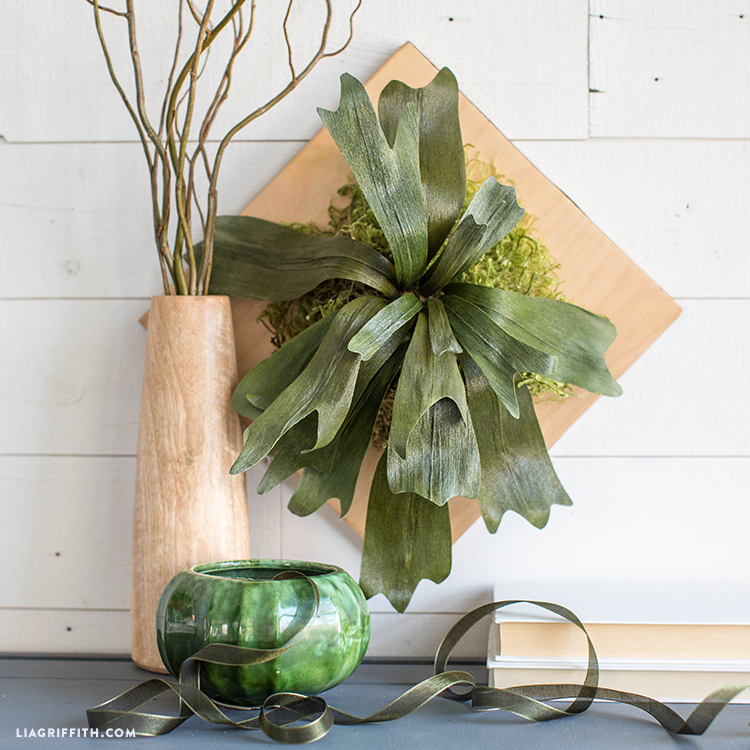 Bring this unique fern inside your own home to give your walls some greenery and fresh air. 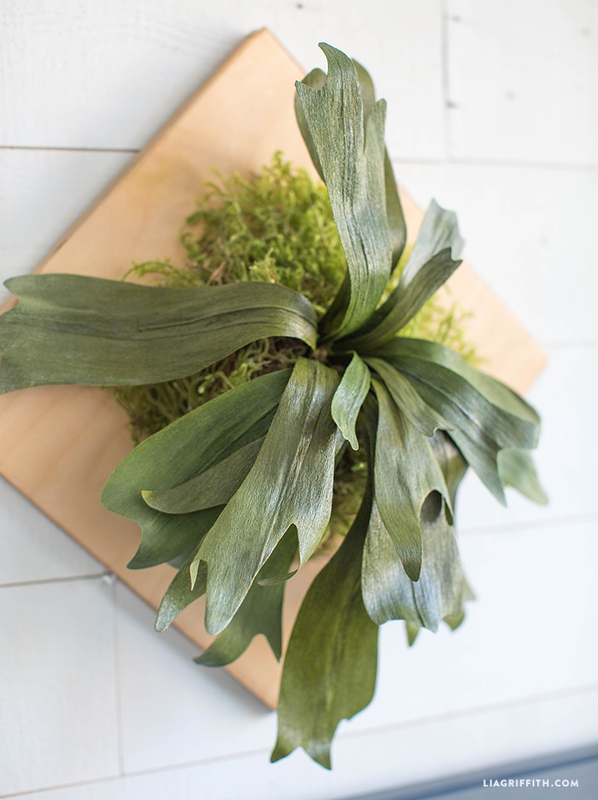 We used our double-sided crepe paper and mod podge to achieve the unbelievably realistic gloss on our mounted staghorn fern. 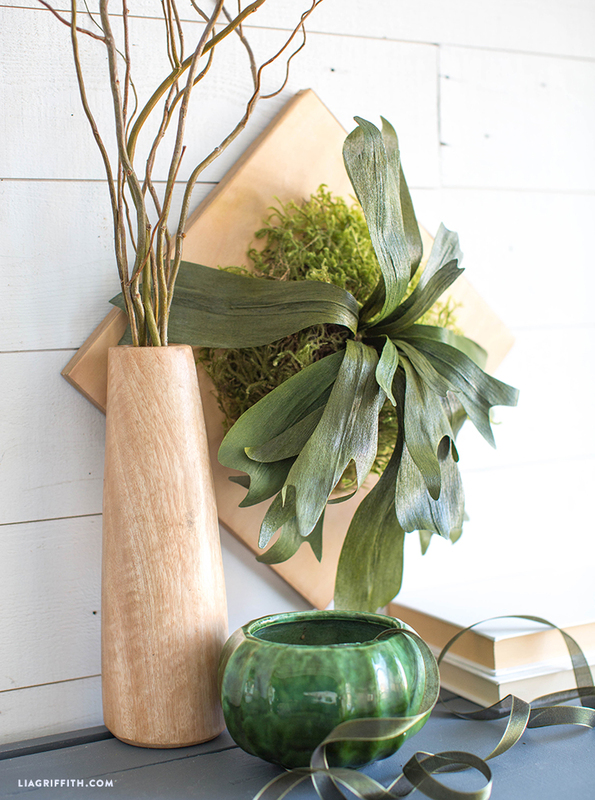 You can create your own life-like staghorn fern by following our easy breezy steps below. 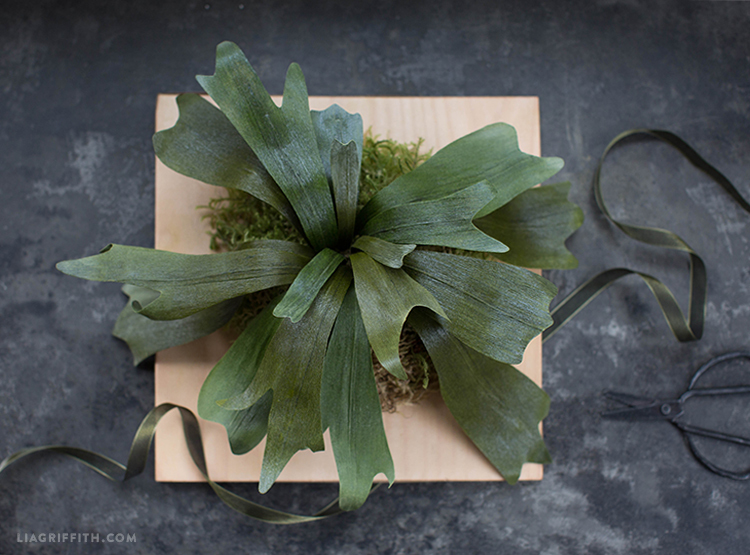 Click here for our beginner’s guide on how to make crepe paper flowers. Gather the tools and materials. Take 2 pieces of 3×10” crepe and glue a piece of wire in between the two, allow at least 3” of wire to come out one side of the crepe. Take the crepe paper with the wire glued in between and paint both sides with mod podge. Cut the crepe following the patten, the wire should run through the middle of the leaf with the wire coming out at the base. Share what you’ve been up to by using #MadeWithLia . We love seeing the creative magic you conjure so strut your stuff and flaunt those project photos for all to see — your creativity is our biggest inspiration! We’re here to help you explore your creativity with daily inspiration, downloadable cut files and printable templates that make your craft life easier. We believe in the power of creativity to nurture the soul and to empower us. Our designs are created with simplicity in mind and we always strive to provide you with the highest quality DIY’s. Why doesn’t the SVG had the same number of leaves that the fern in your picture has? Additionally, instead of being advised to “print 2” why aren’t there just two in the SVG? I’m quite unhappy at paying $99 when I’ve had to “fix” every SVG I’ve downloaded. For that much money, I would expect the SVGs to be exactly what’s needed to make the images as shown. Hi Julie– because it’s easy enough to duplicate leaves in Design Space, in certain projects like this one we like to leave some flexibility and let our members make adjustments based on the materials they have on hand (and how they want their project to look). We always take our members feedback into consideration, so feel free to send your suggestions to hello@liagriffith.com.